Finding a daycare center that’s right for you seems like a daunting task, but there are steps you can take to make it easier. Think about what you need from a childcare provider; location, hours of operation, and cost. Next, think about what you want from them; education, activities, social interaction, and ratio of children to caregivers. Once you have an idea of what you need and what you want take the time to prioritize them; then make a list of questions based on those priorities that you can use to interview potential daycare centers. You’ll need a list of potential daycare providers. You can start with recommendations by friends and family, but there are also professional online resources out there that can help you locate child care centers. If you’re asking friends and family make sure you’re also asking them what they specifically like about the daycare. Don’t assume that what they liked about it will be one of the things on your own priority list; which means you should also ask them if there was anything they disliked about the childcare provider. Parents can use the free online search tool from www.topdaycarecenters.com to find the most up-to-date listings for licensed child care providers in their local area. Licensed day care centers have to pass state verifications, and follow specific rules and processes; however, it is strongly recommended you call the listing in advance to validate hours of operation and locations. If you still have questions you can reach the Top Daycare Center via email at support@topdaycarecenters.com to locate a provider near you. A valuable online resource is www.childcareaware.org which lets you do your own online search, chat online with one of their resource experts, or you can call their toll-free number 800-424-2246. In addition to helping you locate daycare providers close to you they also have useful tips on costs, budgeting, and resource links that are state or military specific. 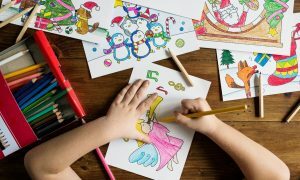 The National Association for the Education of Young Children (NAEYC) also has an online search tool and lists whether a daycare center is accredited in early childhood programs. Their website is www.naeyc.org and their toll-free number is 800-424-2460, as a non-profit organization and advocate for children they are a nationally recognized and trusted resource. The National Association for Family Childcare (NAFCC), www.nafcc.org, is a non-profit organization that provides accreditation to daycare centers around the country based on specific standards and criteria. Accreditation by the NAFCC offers parents a level of assurance that the childcare facility provides a safe, nurturing environment that includes educational activities for all children in their care, while still encouraging development unique to each child. Now that you have a prioritized list of things you want from a daycare provider and have done your homework on what’s available in your area it’s time for the legwork to begin. You can start to weed the list of potential providers with some basic over-the-phone questions to see which ones do or don’t meet the most basic criteria. Things like hours of operation, fees, and location might not fit what you need, so there would be no need to visit those providers. Of the ones that stay on the list you can try to get some of the things you have at the top of your priority list checked off to give yourself the best 5 places to plan an in-person visit. You’d be smart to choose an additional 5 back-up providers, you know, the ones that you may be “on the fence” about, just in case. Make sure you take the time to fully tour the facility, meet the staff, observe their interaction and engagement with the kids. Ask questions! You’re going to want to know if they have the same perspective on child-rearing and discipline as you do. It’s okay to have some level of difference, but you don’t want to have to spend the time you have with your child battling the habits and disciplines they learn while at daycare; the goal is to be on the same page, or at least reading the same book. If, at any time, you hear that little voice in your head saying, “This is not the place for my child,” listen to it and move on. Otherwise, you should definitely ask for a copy of their policies, schedule of activities, and program fees. Finally, if you find a daycare you like and it meets all or most of your priorities don’t hesitate to get on the waiting list if there are no immediate openings. If you do need to wait for an opening, feel free to ask the daycare center if they have any recommendations of places that are similar to them where you might be able to enroll your child until an opening comes available here. Often, they will have a much better idea of their competition and some places will work with each other because they have the children’s best interest at heart.